What is this?!?! Two posts in one week and a TGIF Challenge? That is right! It has been forever since I participated in a TGIF Challenge, and I miss it! These challenges really help to push my creativity, so starting this month I am diving back into them. This week's challenge is my favorite kind of challenge - COLOR! 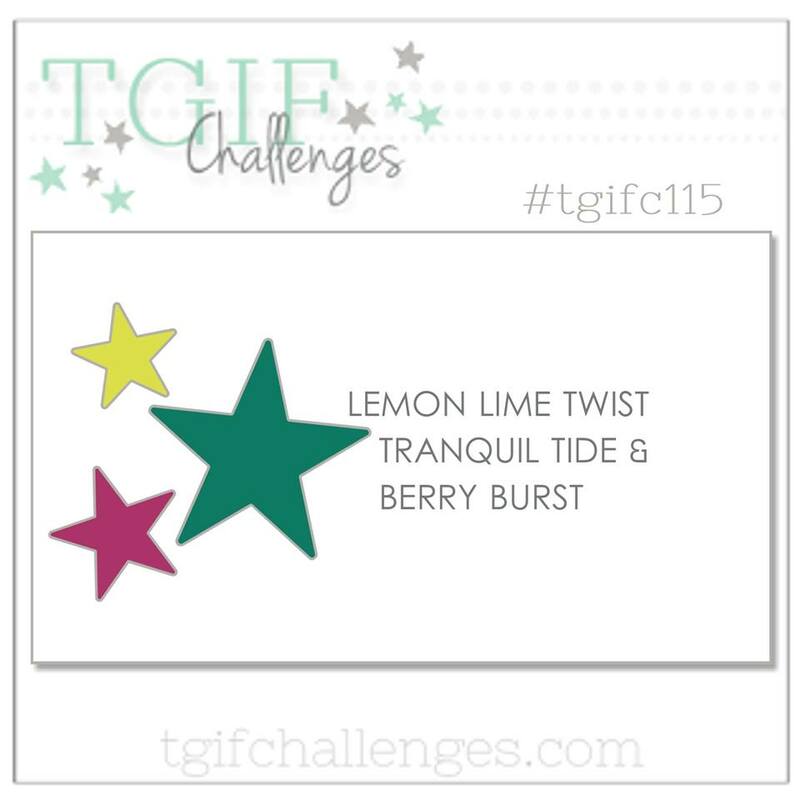 The color scheme is also amazing with my favorite new color Lemon Lime Twist paired with Tranquil Tide and Berry Burst. This years set of In Colors are seriously my favorite of all time. 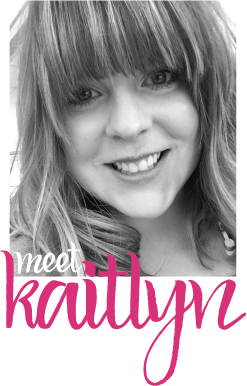 They work so well with all of the other colors offered from Stampin' Up! and are amazing together, like this challenge shows. 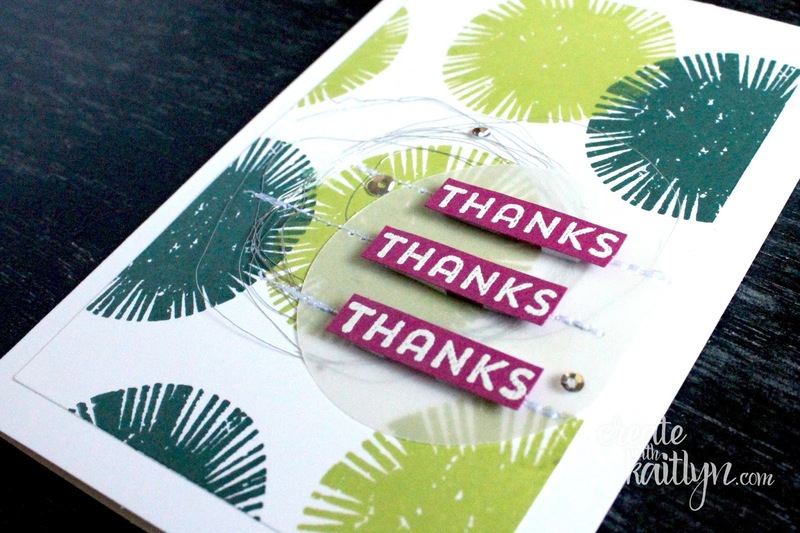 On this thank you card I used a new stamp set that you probably overlooked when you first browsed the new catalog. The Lovely Inside & Out Stamp Set was on the top of my wishlist because of the great background builder pieces and the cute sentiments that I know I will constantly use. The combination of the fun background and bold colors create a card that is really stands out. I added all of my favorite embellishments - stitching, sequins, and metallic thread - to complete this card. 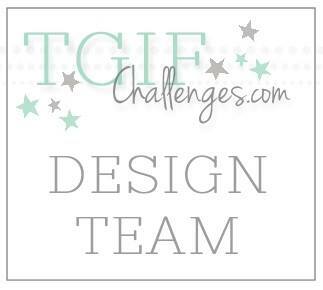 This week's TGIF Challenge was so much fun, you should definitely join the fun! Just click the button below for more inspiration and enter your project.